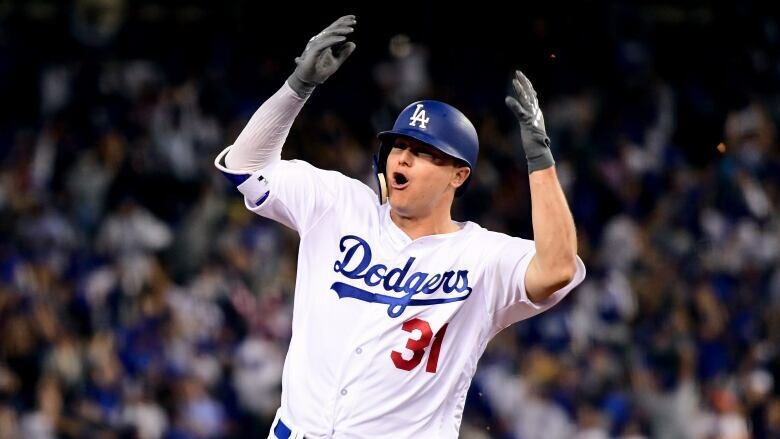 Joc Pederson sliced a drive over the left-field wall, pounded his chest and danced around the bases, taking as many twists and turns as this World Series itself. Of course, the Los Angeles Dodgers forced the Houston Astros to Game 7. 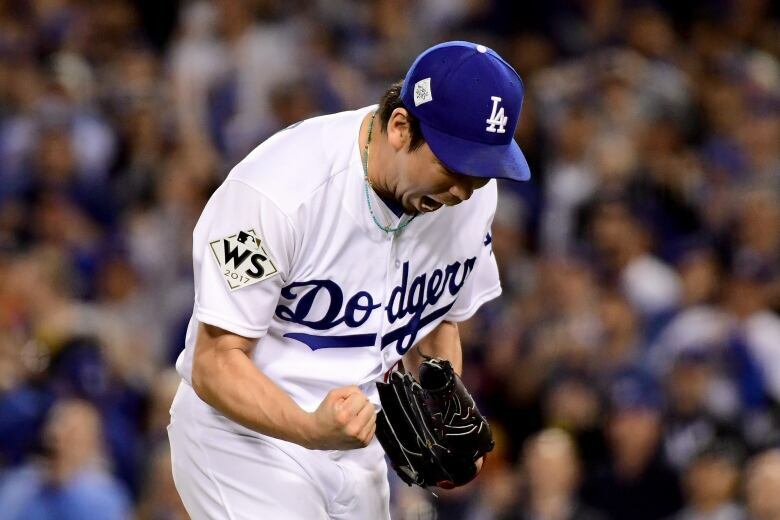 Chris Taylor hit a tying double off Justin Verlander during a two-run rally in the sixth inning, Corey Seager followed with a go-ahead sacrifice fly and the Dodgers beat the Astros 3-1 on Tuesday night to push this dramatic World Series to the ultimate game. 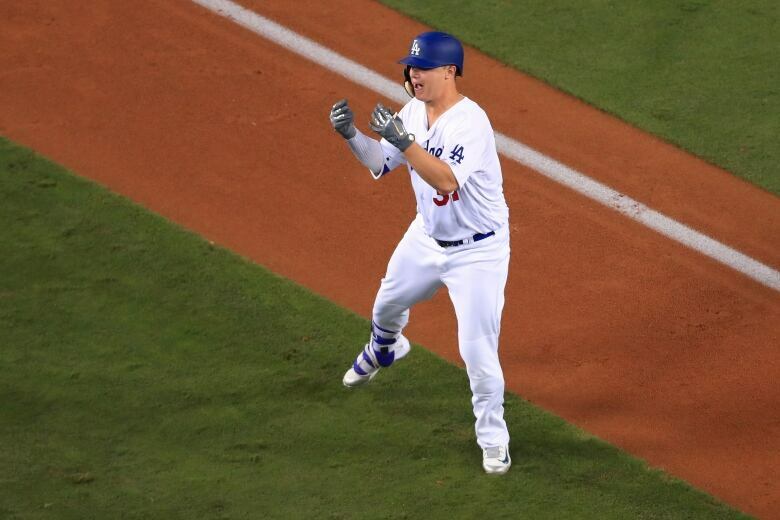 Pederson homered in the seventh against Joe Musgrove, connecting off the right-hander for the second time in three games for the record 24th long ball of this Series. Pederson pranced all the way to the plate, pointing at the Dodgers' dugout and rubbing his thumbs and index fingers together to indicate what a money shot it was. Yu Darvish starts Wednesday for the Dodgers, trying to win their first title since 1988, and Lance McCullers Jr. for the Astros in the first World Series Game 7 ever at Dodger Stadium. George Springer's third-inning home run against starter Rich Hill had given a 1-0 lead to Verlander and the Astros, trying for the first title in their 56-season history. Verlander has 11 post-season wins but dropped to 0-4 in the Series with Detroit and Houston, which acquired him from the Tigers on Aug. 31 to win on nights like this. Springer homered for the third straight game and fourth time in the Series, one shy of the record set by Reggie Jackson in 1977 and matched by Chase Utley in 2009. While it silenced the Dodger Stadium crowd, Astros fans erupted at a watch party in Minute Maid Park. Los Angeles has allowed home runs in all 14 of its post-season games. Morrow relieved as the crowd booed manager Dave Roberts' decision, and Hill slapped at four cups of liquid in the dugout, sending them spraying against the wall.